A recent article by Packaging World explores how Dorner partnered with ADCO Manufacturing to help J.S.B. Industries/Muffin Town, of Massachusetts, increase their cartoning line speeds and make more efficient use of packaging personnel and materials. Previously, the company had been side-loading polypropylene film over-wrapped baked goods into cartons. This process was experiencing line jams, requiring frequent maintenance, and was running at lower speeds than necessary for Muffin Town to keep up with their demand. To address the issues with the side-loading process, they decided to install a top-loading carton system using a combination of two forming/cartoning machines from ADCO and a 20-ft Dorner conveyor. ADCO’s Scott Reed says ADCO likes to use Dorner products in installations like this for several reasons. Short lead time is one. After-sales support is also good, the conveyors are available in either wash down or non-washdown versions and Dorner’s online ordering tools are first-rate, says Reed. 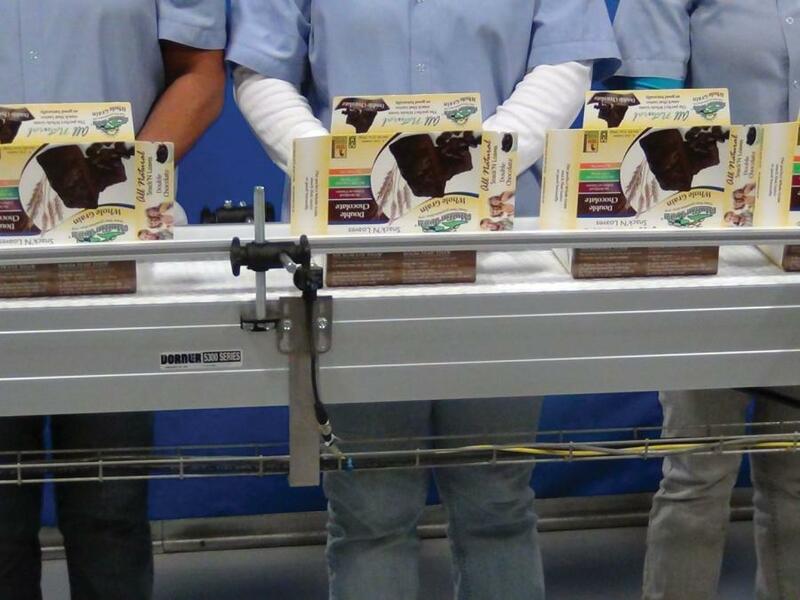 The end result for Muffin Town was a 20% increase in line speeds and considerable packaging material cost savings due to a reduced amount of damage from line jams. For more details, read the entire article at Packaging World.